Jeffrey Milks, MD has over 35 years experience in private practice and is board certified in Family Practice, Geriatrics, and Hospice and Palliative Care. A graduate of The Ohio State University Medical School, Dr. Milks is a member of the American Academy of Family Physicians, American Academy of Private Physicians, and the Ohio State Medical Association along with several other local professional associations. In addition, he has been awarded many honors, including OSU Department of Family Medicine Preceptor of the Year, OSU Teacher of the Year, Columbus CEO Lifetime Achievement Award and Columbus Business First Champion of Healthcare Legacy Award. 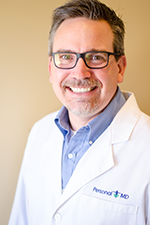 Dr. Brad is board certified in family medicine and has been practicing for 18 years in central Ohio. He is a graduate of Michigan State University College of Human Medicine in 1997, and completed his residency at Grant Medical Center in Columbus, Ohio. He is a member of the American Academy of Family Physicians and was awarded the AOA-National Medical Honor Society while in medical school. Most recently, Dr. Brad was named as one of central Ohio’s top providers in This Week News Readers Choice Awards. In addition, he has been consistently ranked I the top 3 physicians in patient satisfaction by Ohio Health. Miranda graduated from Ohio Northern University with a bachelor's degree. She completed her MSN at The Ohio State University in June 2009 and joined Personal MD in September 2009. Miranda is available at our office to see patients for all types of visits, including geriatric assessments, Medicare Wellness Exams and women's health exams. Deb graduated from The Ohio State University with undergraduate and master's degrees in Nursing and an Adult Nurse Practitioner Degree. 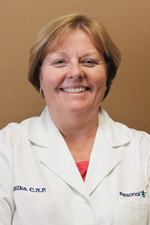 She has been a nurse for over 40 years and a nurse practitioner for over 20 years. Lisa graduated from the Ohio Institute of Health Careers in 2003. 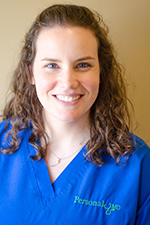 She completed her externship with OSU Family Practice, where she spent three years working as a medical assistant with Dr. Jeffrey Milks and Deborah Milks, CNP. She joined Personal MD in 2006. Ann graduated from the University of Delaware with a bachelor's degree in biology. She has worked in medical billing and the business aspect of a medical practice for over 20 years. She joined Personal MD in August 2009. "I don’t think people realize the peace of mind that Personal MD can provide until they experience it. The fact that you knew Dad was struggling and you reached out to offer a home visit to check in on him is so appreciated. It really takes a village – and I’m SO happy that you are all part of my village. Thank you all for your genuine care, concern and guidance. You make a positive difference in so many patients’ and families’ lives."